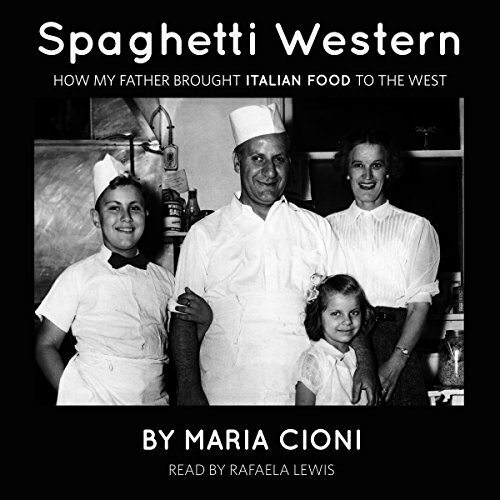 Spaghetti Western is the story of Genesio (Gene) Cioni, his family, community, and the food that made him famous during the fabulous '50s when he introduced Calgary to Italian cooking. Gene's story is the quintessential immigrant success story told with a flair for narrative by his daughter Maria Cioni. Gene was just 16 when he arrived from Antrodoco, in the Abruzzi region of Italy, to find one vibrant, close-knit Italian community in the burgeoning city of Calgary in the 1920s. It is in this unlikely frontier city that Gene left his profession as a barber behind to follow his passion for food and cooking, as he worked his way up from busboy to cook to become one of western Canada's first celebrity chefs. With his wife, Martha, Gene opened Calgary's first Italian restaurant. Maria's recollections of growing up in a restaurant family are authentic, detailed, and perceptive, bringing alive the food and treasured traditions that enriched her family's life. Included in the book are recipes for some of her father's favorite dishes - secret spaghetti sauce for one hundred people, meatballs, polenta, lasagna, gnocchi - along with the secrets behind Gene's original style of cooking Calgary's T-bone steaks, his famous anchovy salad, and how he introduced pizza to his colorful clientele. Italian immigrants frequently faced discrimination and suspicion, especially during the Second World War when they were classified as enemy aliens. For Gene and his German-American wife, Martha, it was doubly difficult. In response, they worked hard to ensure that there would be no bias of any kind in their restaurants. Gene's was a meeting place for Sugarfoot Anderson, Stu Hart, Duke Ellington, Primo Carnera, and city society, including business leaders, sports heroes, and politicians, but Gene always had room in his restaurant, and his heart, for immigrants who needed a helping hand.